There is a freshman catching the attention of coaches, players and media. Last winter when wide receiver Tyjon Lindsey flipped from Ohio State to Nebraska, we all knew he was a highly rated 4-star wide receiver that was coveted by coaches around the country. We also could watch his film and see the electric speed that allowed him to break games open at the high school level. You don’t know how quickly, if at all, those skills translate to the college game but so far the freshman from Las Vegas, Nevada, has earned rave reviews. 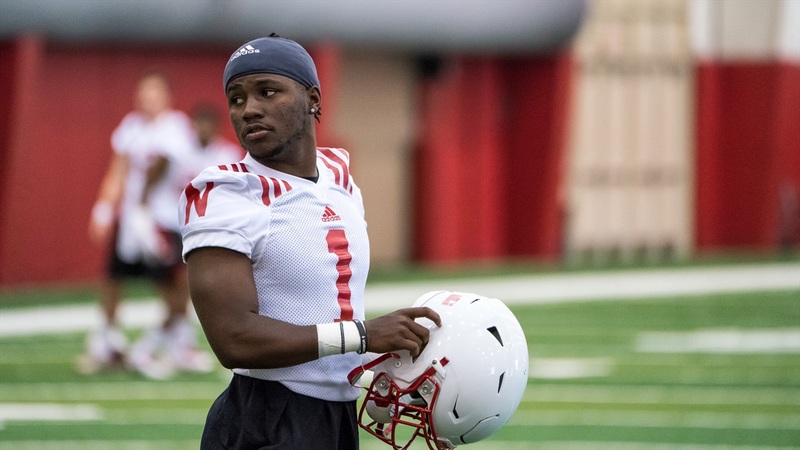 According to Nebraska wide receivers coach Keith Williams though, this started back in the spring when Lindsey continued to bug him on how to get better quickly so he could see the field as a freshman. It’s one thing to pester your coach during the offseason to get tips here and there. Once camp starts and you have practice and schoolwork while going through the same things any college freshman would go through, however, young players can get lost in the shuffle and hit a wall with their growth. So what does Coach Williams stress to his young wideouts? Offensive coordination Danny Langsdorf also mentioned the time Lindsey spent studying during the summer. There’s no question that athletically Lindsey is prepared to play college football. The thing that should make Husker fans excited is something that keeps coming up with offensive coaches and players -- that Lindsey is a hard worker who asks a lot of good questions and wants to be great. The first thing Coach Williams said about Lindsey post-practice on Thursday really set the tone for the discussion about the freshman. “He’s not very good. He’s slow. He can’t catch. We missed the boat on Tyjon." Just kidding. He looks like we thought he would look. The other part that you can’t predict and Husker fans are just hopeful for is that he’s smart and he’s conscientious and it means something to him. He goes out with intentions on getting better. It’s that type of focus that gets players on the field early.